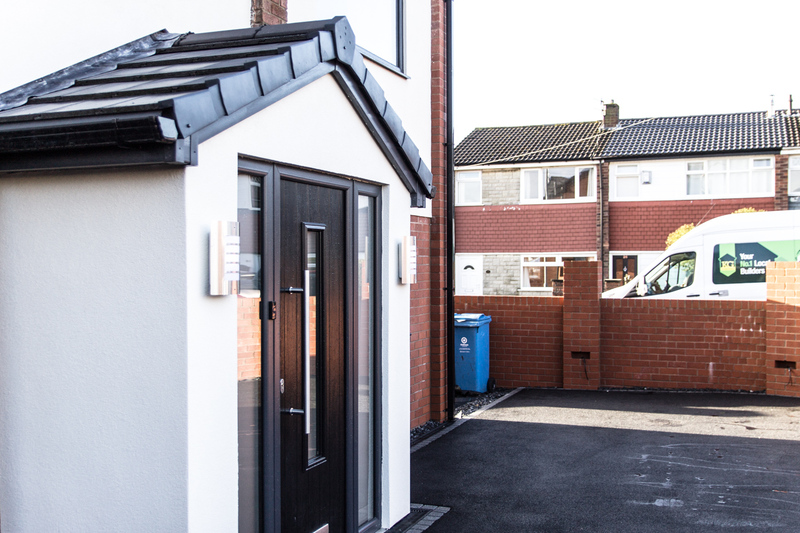 Nestled on a small, discreet cul de sac in Royton, is what used to be a little detached run-down property with huge potential. 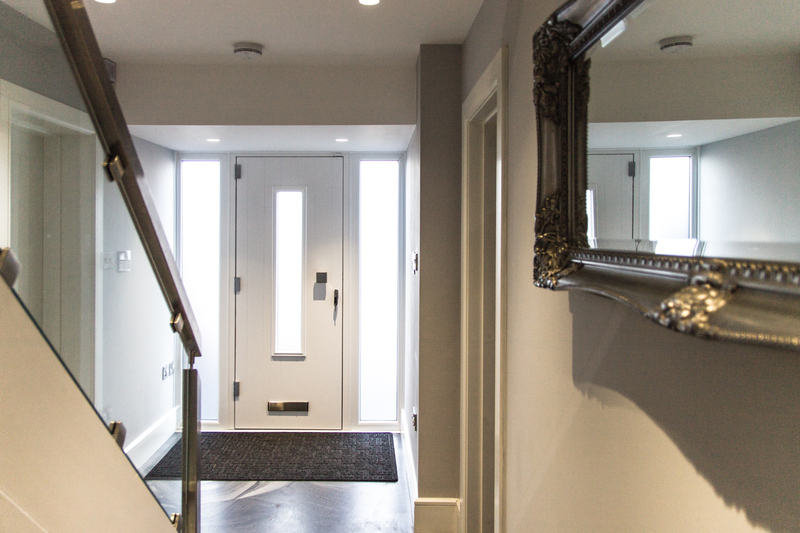 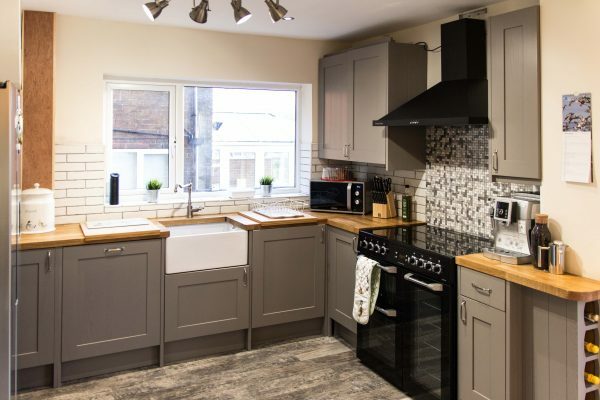 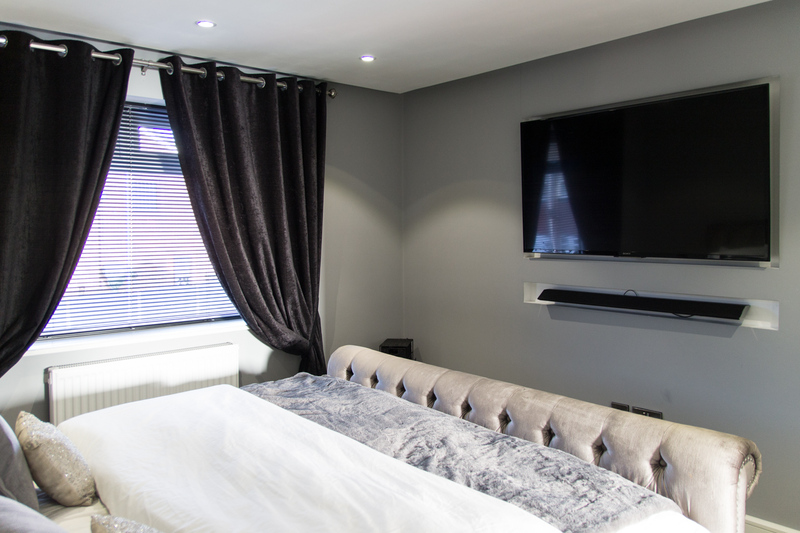 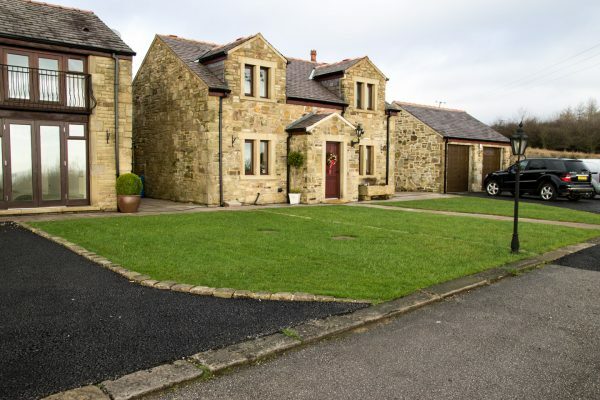 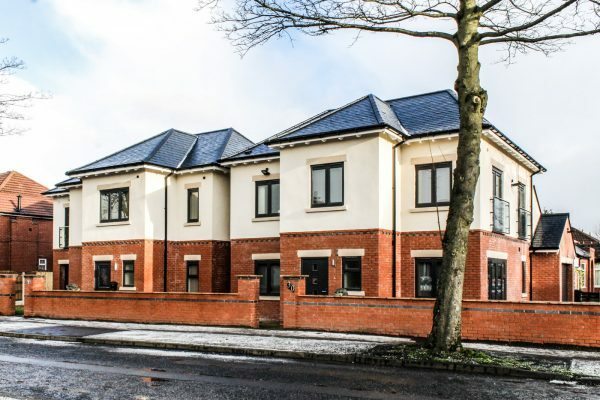 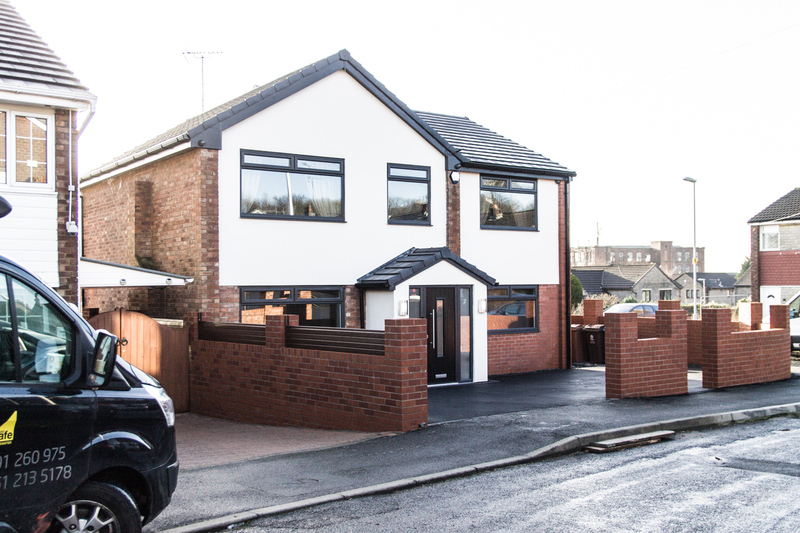 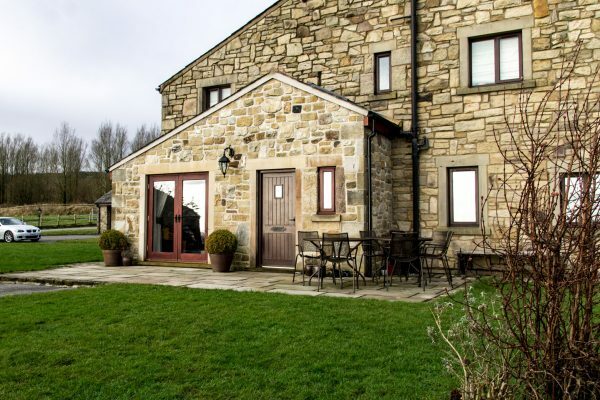 As you can see, this property has been transformed into this elegant large family home. 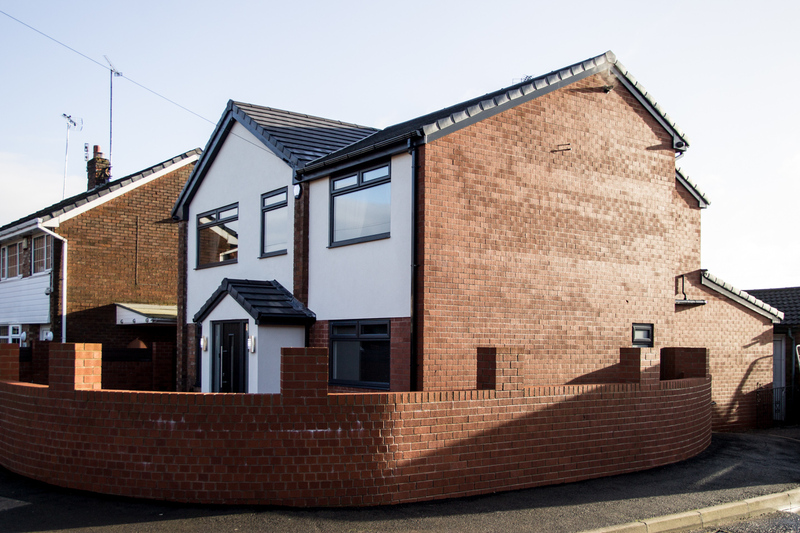 The detached property now features a double-storey side extension along with an adjoining single-storey rear extension. 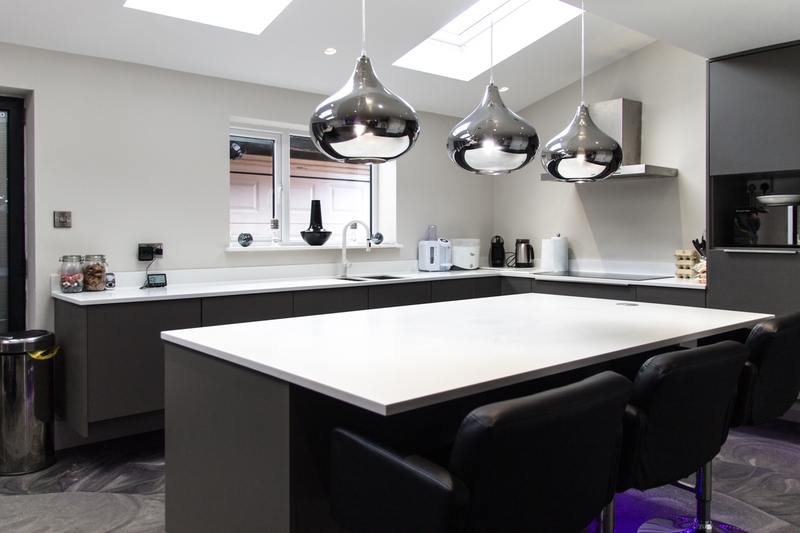 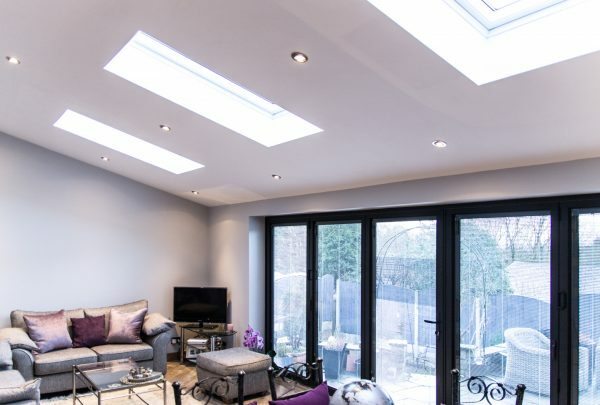 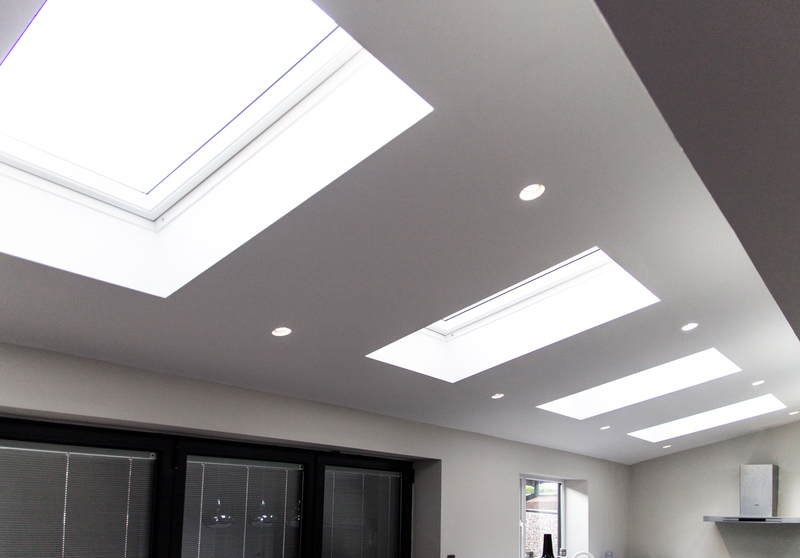 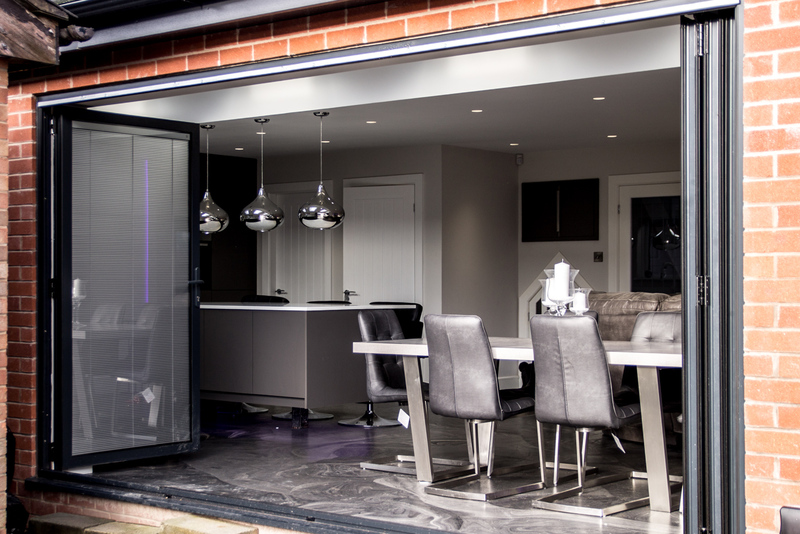 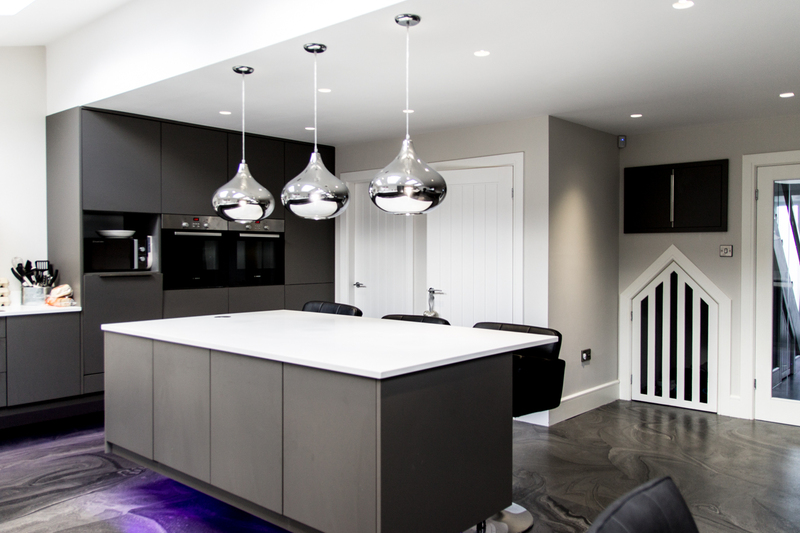 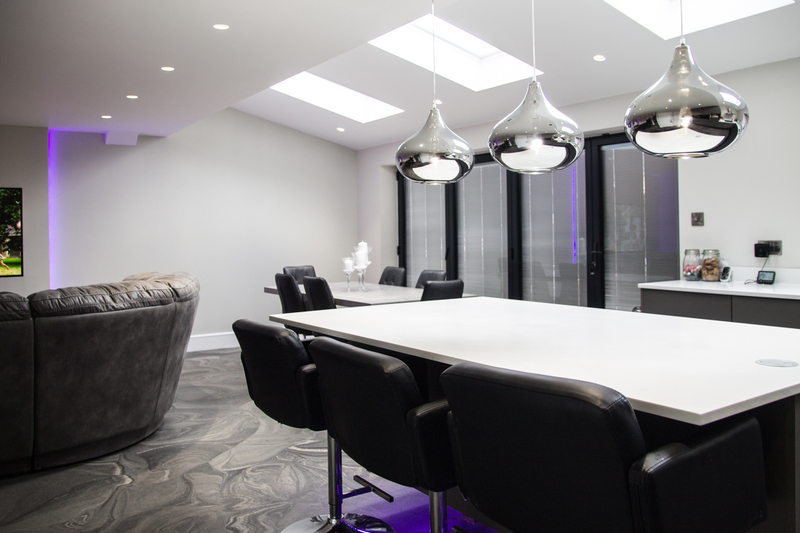 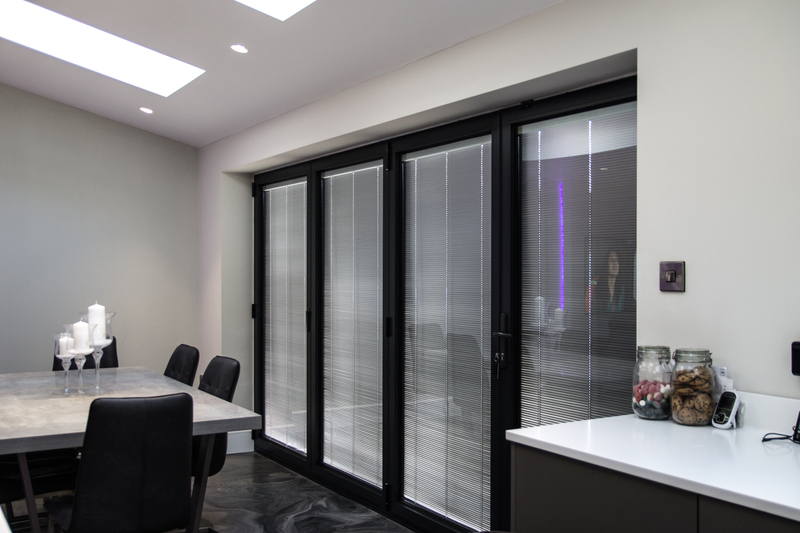 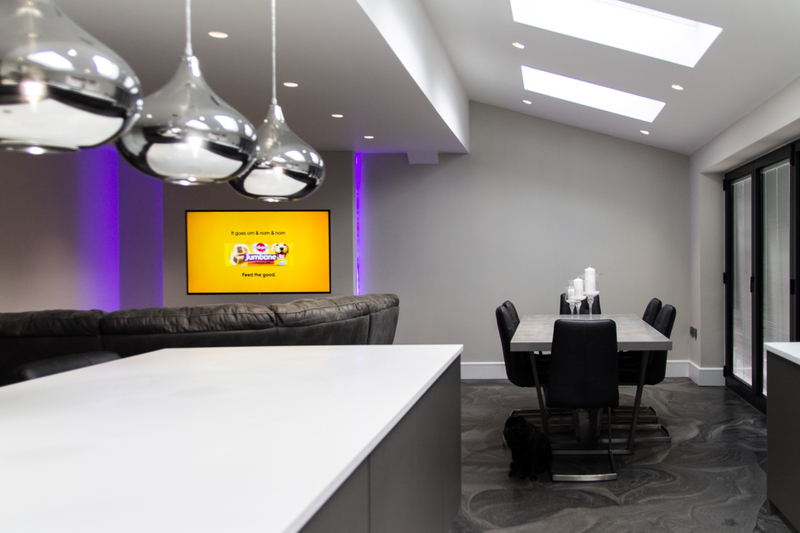 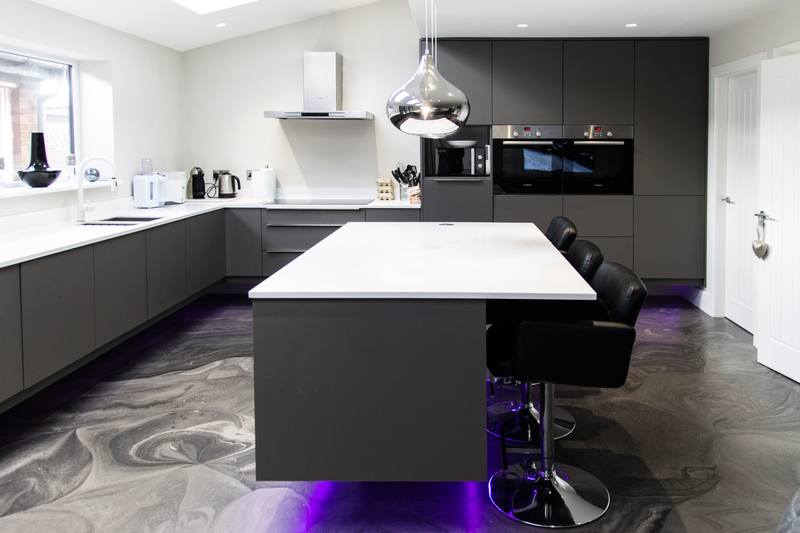 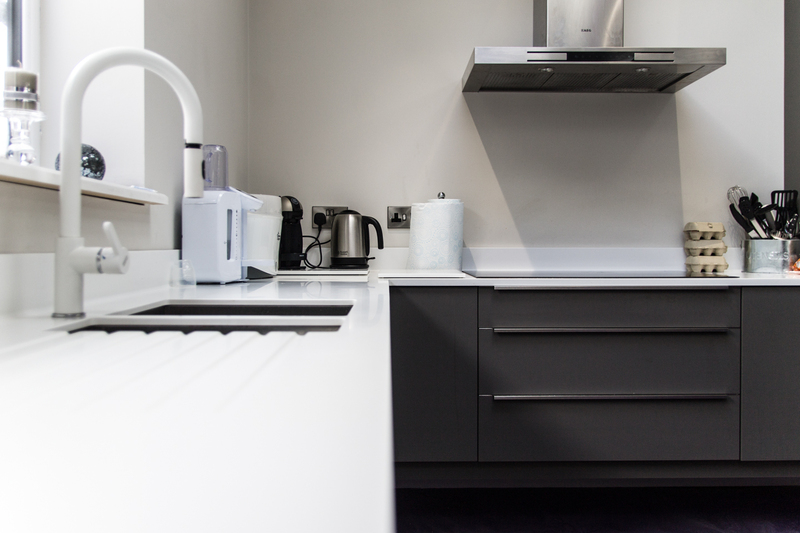 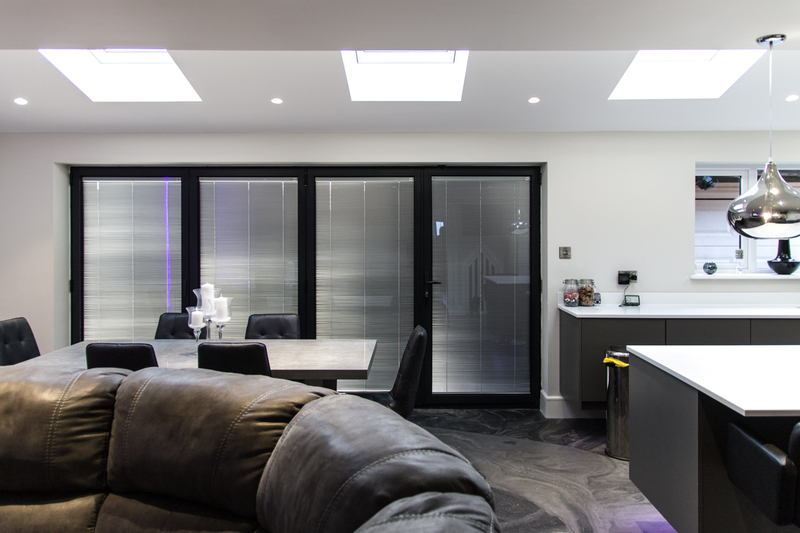 The client required a large, open-plan kitchen diner which was structurally designed and constructed to cater for a modern, busy lifestyle and complimented with bi-folding doors, Velux roof lights and exquisite floating, kitchen Corian work surfaces. 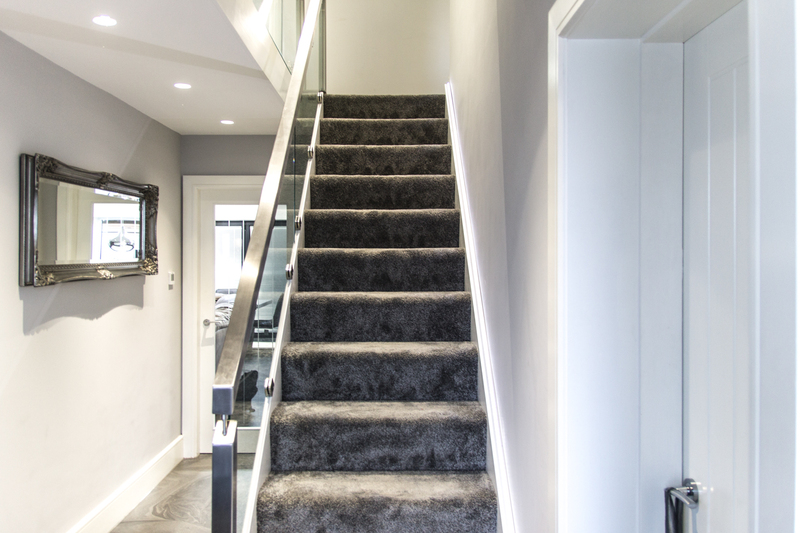  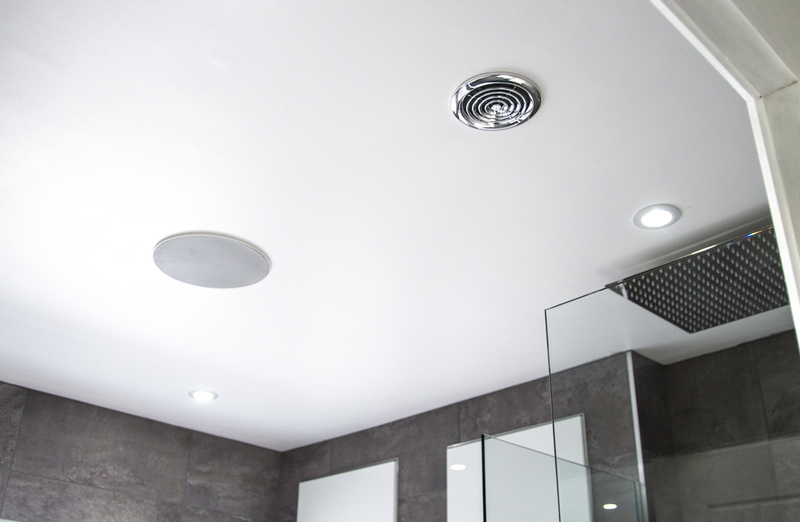 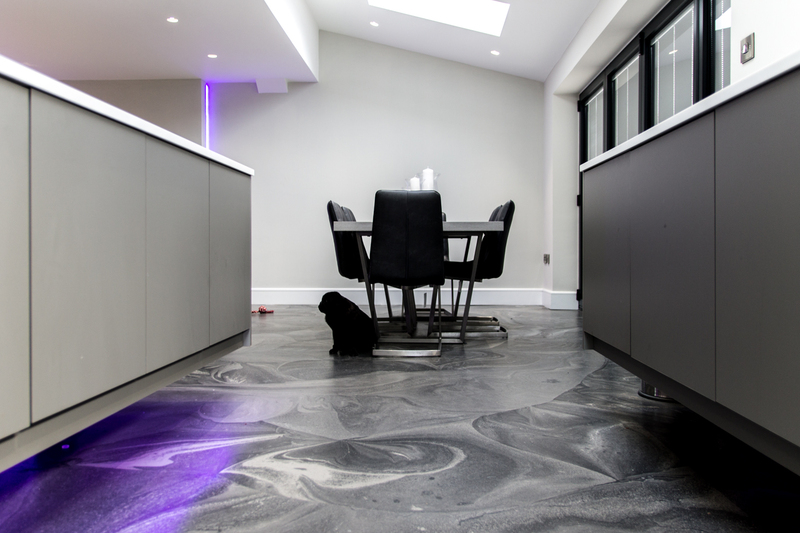 The ground floor consists of a fully piped underfloor heating system with a seamless resin floor finished throughout. 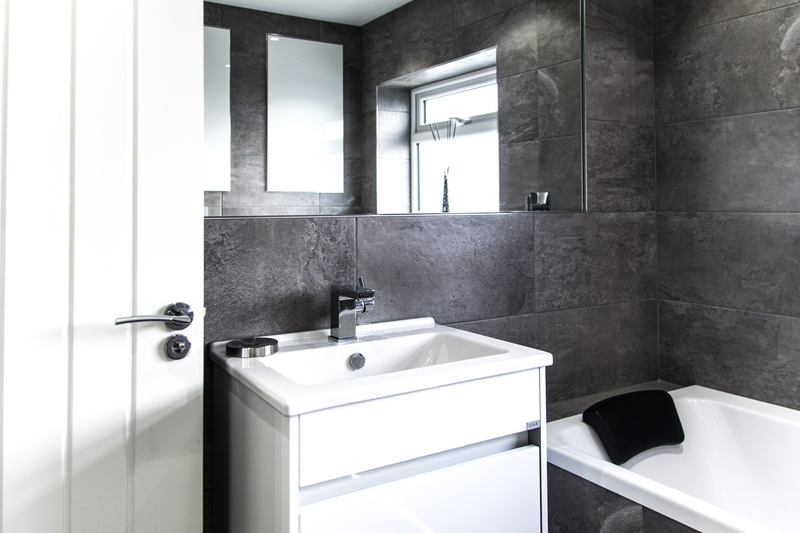 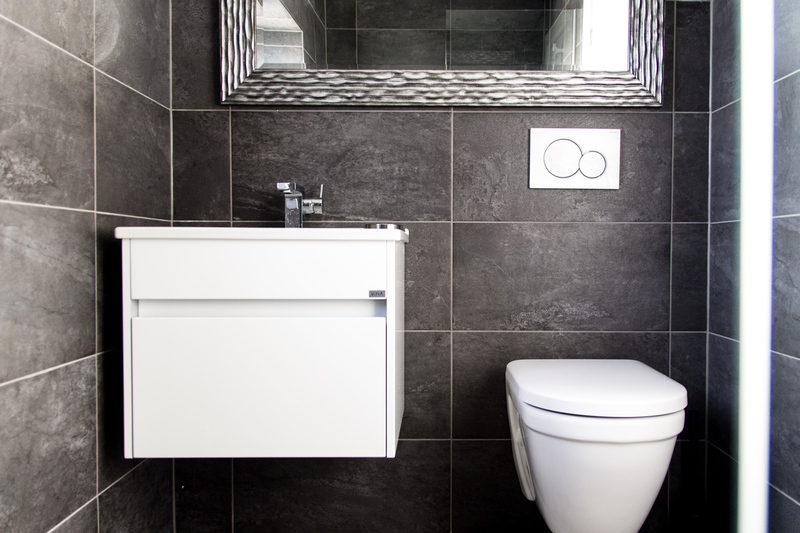 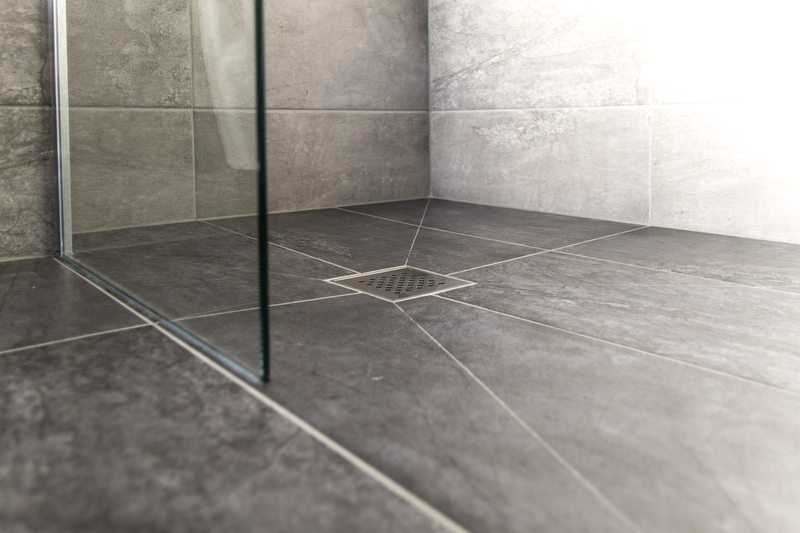 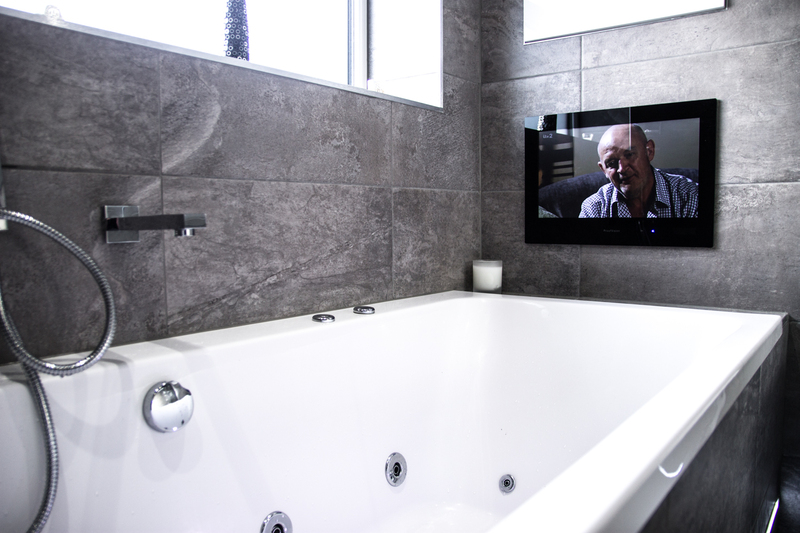 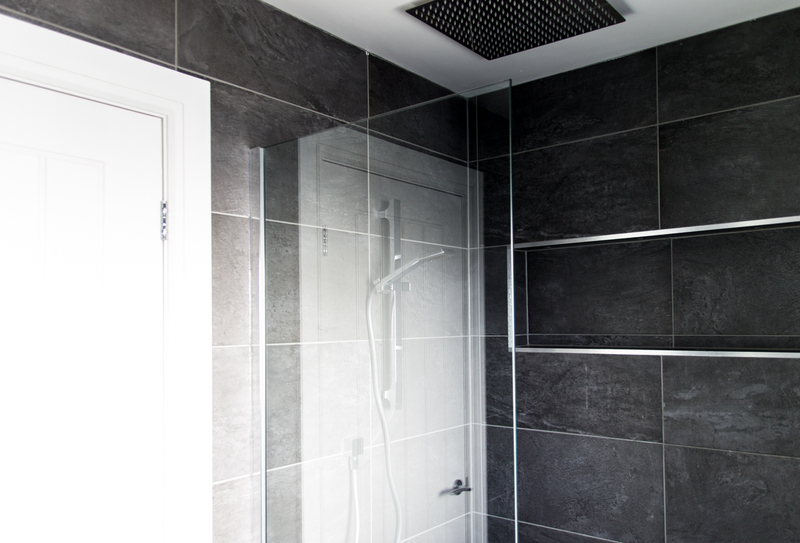 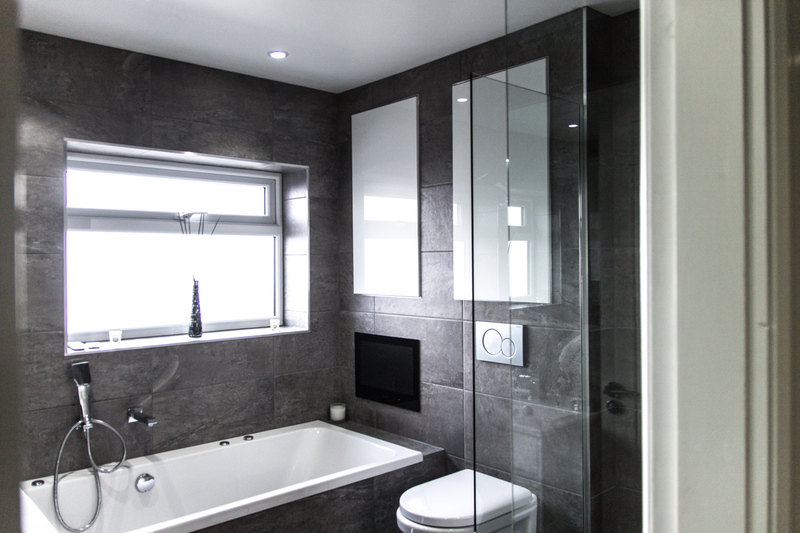 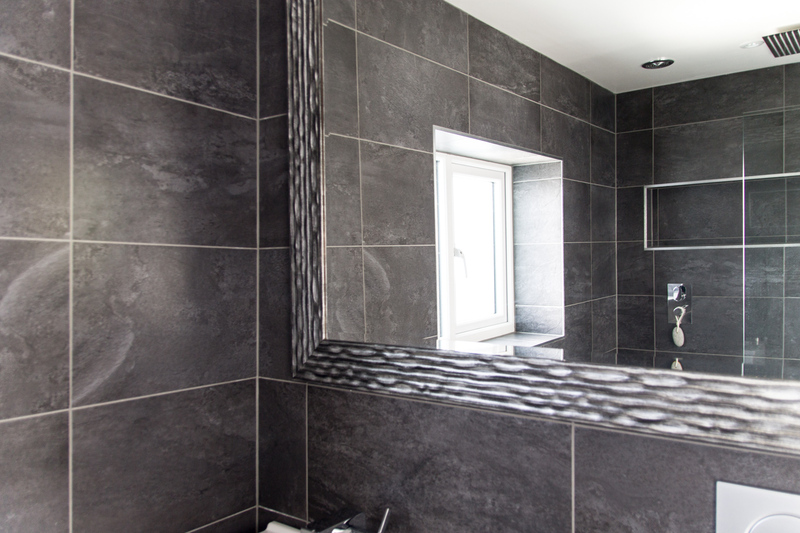 A big internal feature is the eye-catching stainless steel balustrade with glass partitions leading up to the well-designed fully tiled bathroom and en-suite wet room. 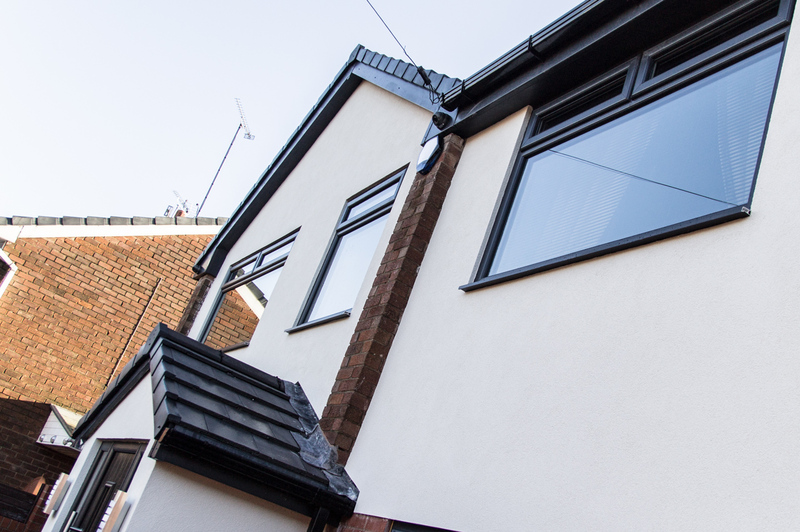 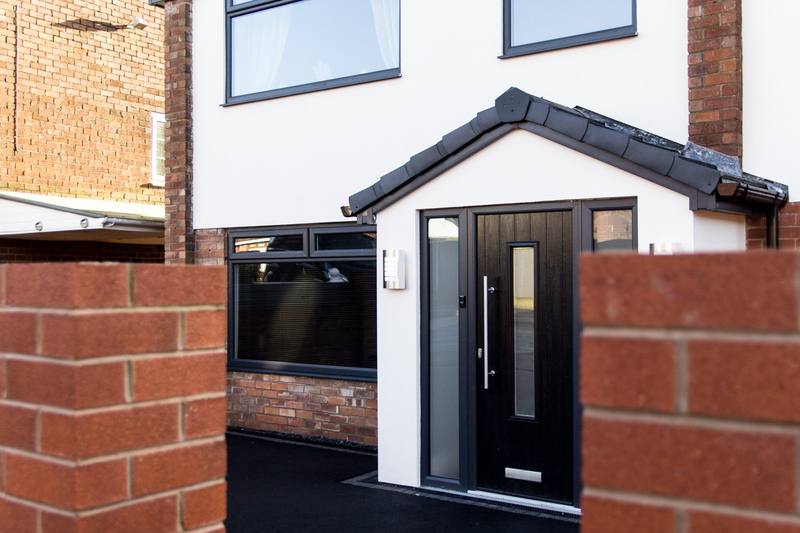 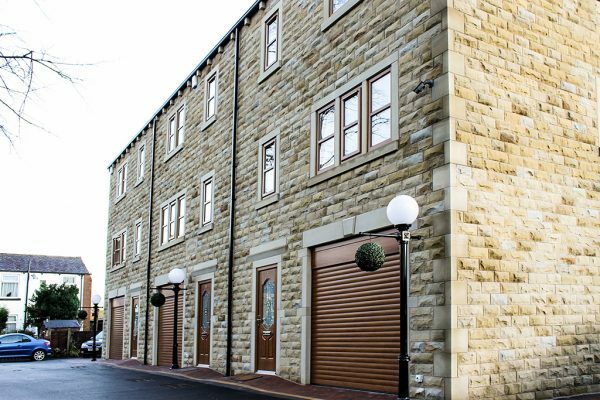 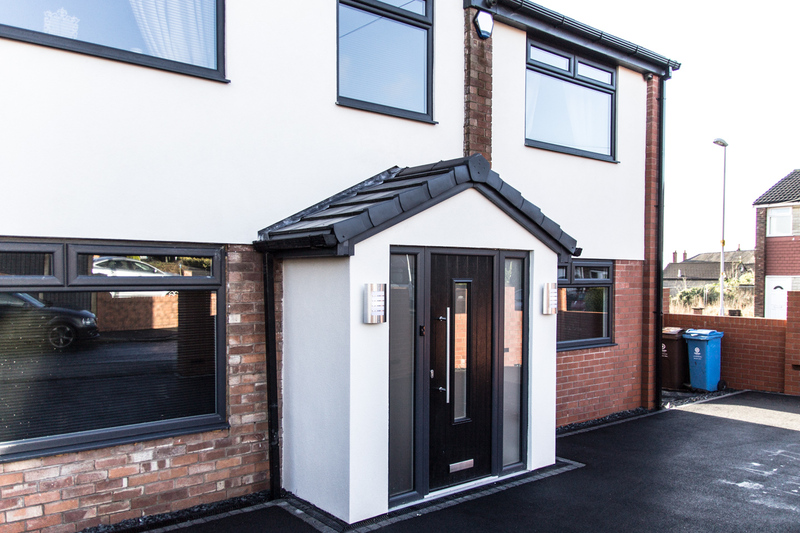 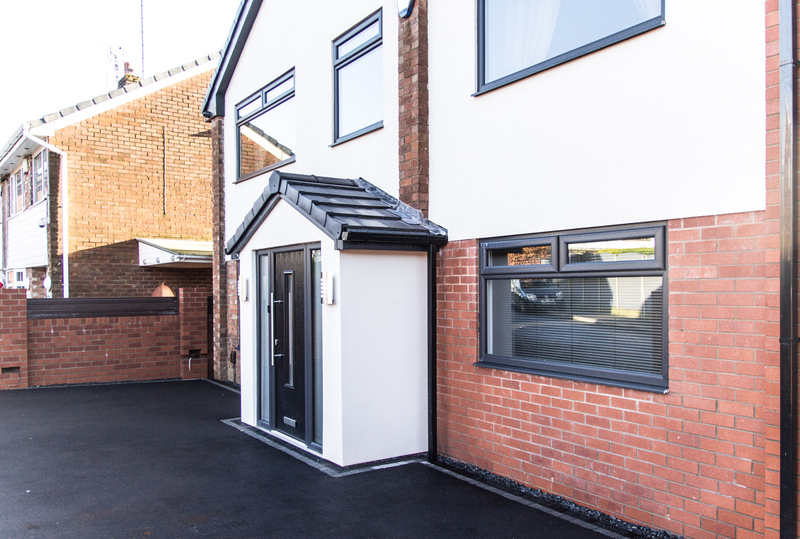 Externally, new anthracite grey roofline and windows were installed with contemporary composite door to give this property a modern and stylish feel complimented by K-Rend TC15 silicone based product.